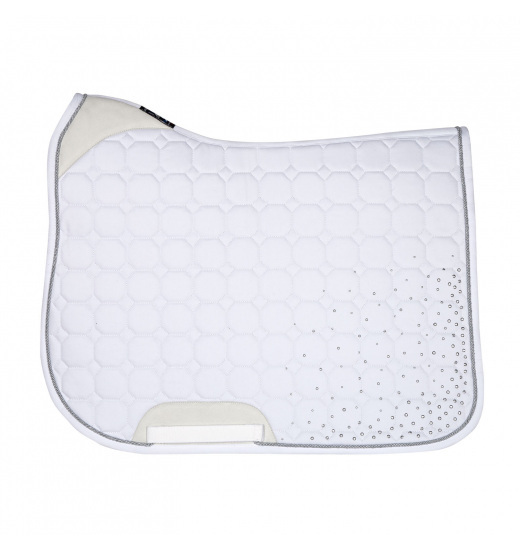 Eye-catching saddle cloth with quilted octagons. 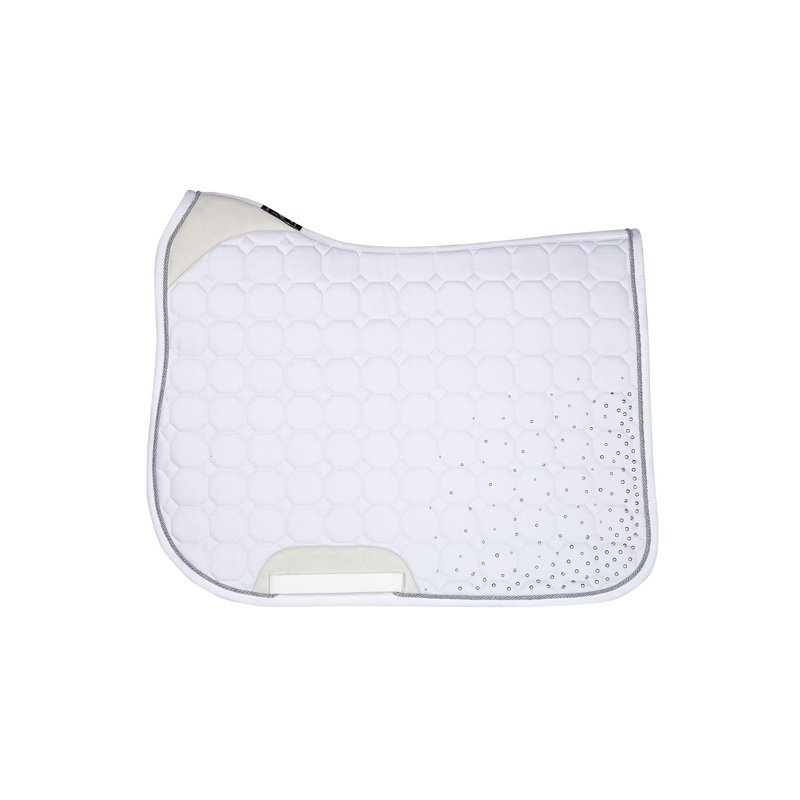 It perfectly absorbs impacts and drains moisture to the outside. This cloth is made of the highest quality materials. 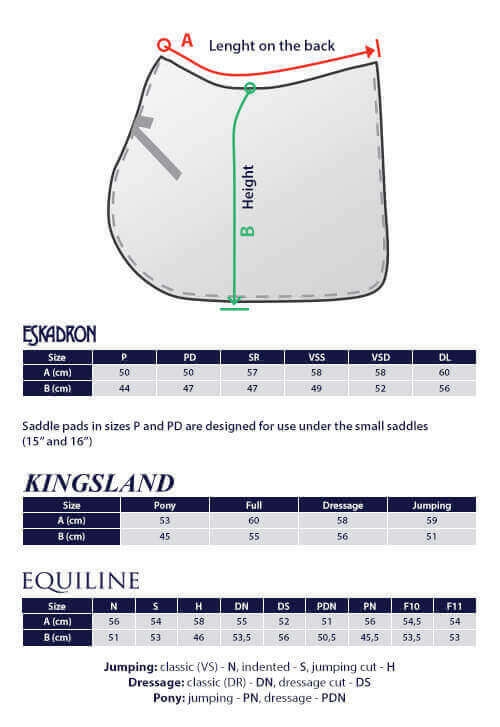 It is also additionally lined with durable fabric in the place where the girth goes, as it is most prone to tearing. 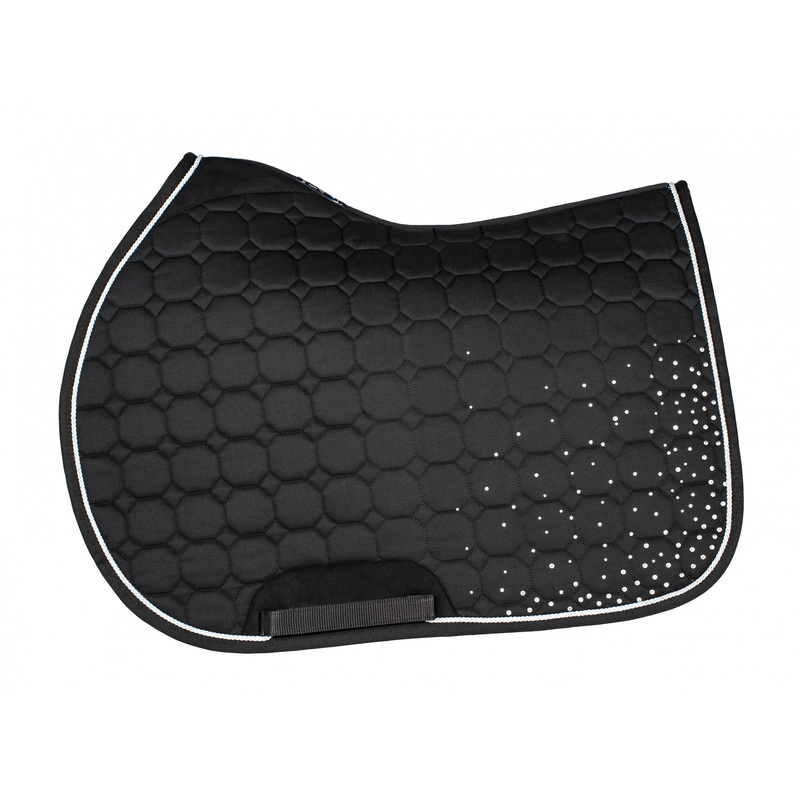 This saddle cloth is decorated with a contrasting trimming and shiny crystals. It will be perfect for everyday trainings and competitions.